Question, under the “Key Activities” box, have you looked at http://www.value-chain.org as a reference model? Thanks for the post! 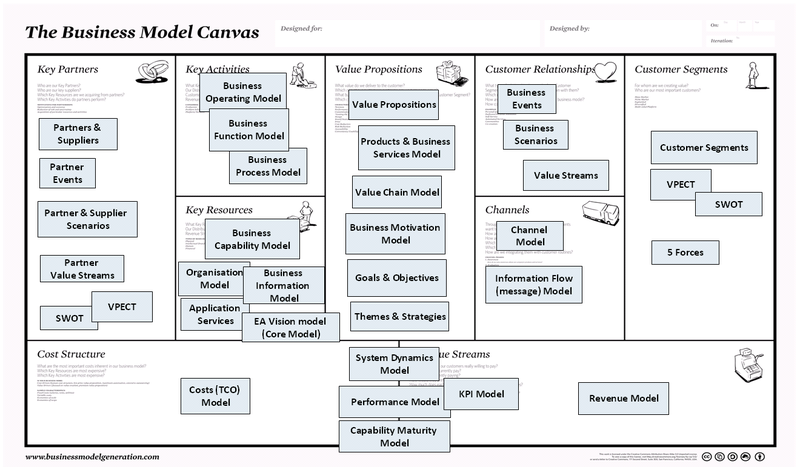 I would argue that this model shows a known problem for business people when things begin to move into architecture or technical planning and strategy. Not that I don’t see your objective and don’t have a potential solution to address the problem from the business. Example; Customer segments and channels as well as partners are all part of the customer segmentation conversation. 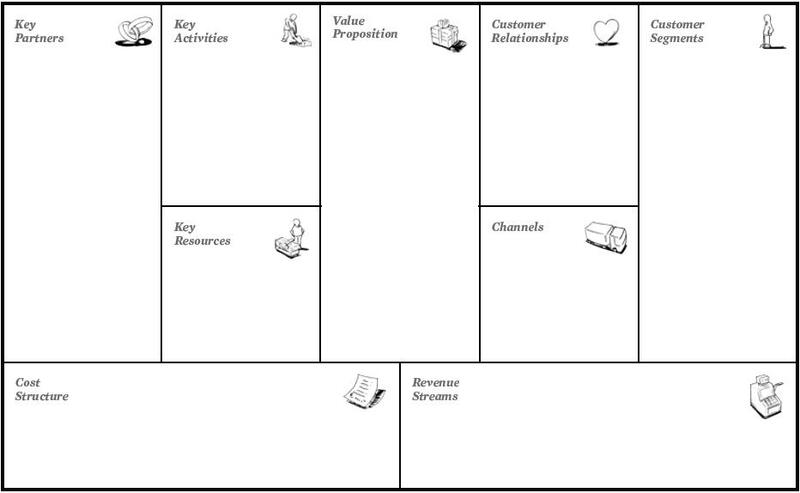 Most of what you list in this post would be found in the program blueprint and part of the stakeholder matrix. From a business person’s perspective the input to Architecture would be much simpler. perhaps the conversation should be done in a google hangout…Are you up to discuss this further?